Indian tanks at the Republic Day parade. For that growth is as impressive as any of the displays of traditional arts or freshly painted armoured vehicles. It is certainly more important to India than either. New figures released by Indian authorities last week put economic growth in the emerging power at 7.5% in 2015, the highest in the world, and up from 6.9% the year before. Growth in China is heading in the opposite direction – predicted to be only 6.3% in 2016 – while the US will expand by a mere 2.6%. To spare Hollande’s blushes, let’s not even mention the predictions for France. So, after several disappointing years, the elephant has once again begun to dance. And, in a world shaken by a series of rolling crises, anything remotely cheerful gets noticed. India’s economy is the 10th or 11th biggest in the world and is forecast to reach third, after the US and China, in less than 15 years. Volatile. Uncertain. Complex. Ambiguous. Pick your euphemism. The world can be both rich with culture and diversity and at the same time violently unforgiving. From nuclear-ambitious despots to resurgent Cold War adversaries, from refugee crises to climate change, threats and challenges exist in every corner of the globe. The question most often posed each year is which of these threats and challenges deserve our utmost focus? Where should we target our effort? What truly awaits us over the horizon? Four writers, thinkers, and strategists have joined forces with The Bridge to widen our aperture and offer a glimpse into the security issues that confront us today and are likely to confront us tomorrow and into the future. With responses broken down by region, they present how a view of the most concerning of these issues. Perhaps this discussion will prompt an expanding discourse. Four writers...four opinions...four global thinkers. India should worry about Xi Jinping's overhaul of the Chinese military. Since Xi Jinping took over as the general secretary of the Communist Party of China and became president of the republic in November 2012 and March 2013 respectively, perhaps the most marked difference from his predecessor Hu Jintao has been his dealings with the military. Under the terms of his succession as head of the party and as president, Xi was also given his third post-chairman of the Central Military Commission (CMC)-putting him in the unique position of commanding the party, government and military all at once. With a view to meet the immediate, critical needs of the Indian Air Force (IAF) ,which is up against the problem of “squadron depletion” and coinciding with the Indian Prime Minister Narendra Modi’s April 2015 visit to France, a government to government agreement was announced to acquire 36 Rafale multi role fighter aircraft in a flyaway condition. In one fell swoop, this deal brought to an end the nagging uncertainty over boosting the combat fitness of IAF in the backdrop of the phasing out the Soviet era Mig-21 and Mig-27 fighter jets from the frontline fighting formations. As it is, the home grown Light Combat Aircraft (LCA) Tejas, taken up for development by the Bangalore based Aeronautical Development Agency(ADA) ,was originally conceived of as a replacement for ageing Mig fighters. 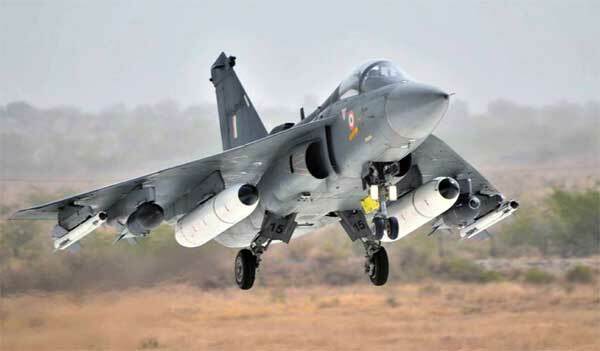 However, the inordinate delay in the developmental schedule of Tejas nudged the Indian defence establishment to announce Medium Multi Role Combat Aircraft (MMRCA) contest under which 126 fighters were to be acquired. The death of nine army jawans belonging to the Madras regiment on the Indian side and the miraculous survival of one of the brave Indian soldier (who unfortunately died in hospital in Delhi) has once again prompted a debate on whether to demilitarize the glacier or to maintain the status quo. This article is an attempt to understand the strategic importance of the Siachen glacier for India and tries to make a scenario of what it means for India in general and the people of Ladakh in particular if (in case) troops are withdrawn from the glacier? The eastern Karakoram Range where the Indian interpretation of line beyond NJ9842 (where the Cease Fire Line and later Line of Control was terminated), effectively divides the Indian Kashmir and the Pakistan occupied Kashmir (PoK) is claimed by both India and Pakistan. The Indian troops have been deployed on the Siachen glacier since 1984 in a befitting reply to the deployment of the Pakistani army on the other side of the glacier. But India dominates the heights and thus is in a strategically advantageous position vis-à-vis Pakistan. A ceasefire has been holding since November 2003, and most of the deaths on both sides of the glacier have been due to the extreme climatic conditions on what has been dubbed as the ‘World’s highest battle field’. Both countries maintain permanent military personnel at the glacier at a height of over 7,000 metres and is a prime example of mountain warfare. For the Nubra valley, the main source of the Nubra River is through the melting of the glaciers waters which then joins the Shyok River. The Shyok River then ultimately joins the Indus River which finally winds to Pakistan and is important for both India and Pakistan. “The roots of the conflict over Siachen lie in the non-demarcation of the cease-fire line on the map beyond a map coordinate known as NJ9842. The 1949 Karachi agreement and the 1972 Simla Agreement presumed that it was not feasible for human habitation to survive north of NJ9842. Prior to 1984 neither India nor Pakistan had any permanent presence in the area”. The extent of moral and material support by an external power(s) is one of the crucial factors for the success of any insurgency. 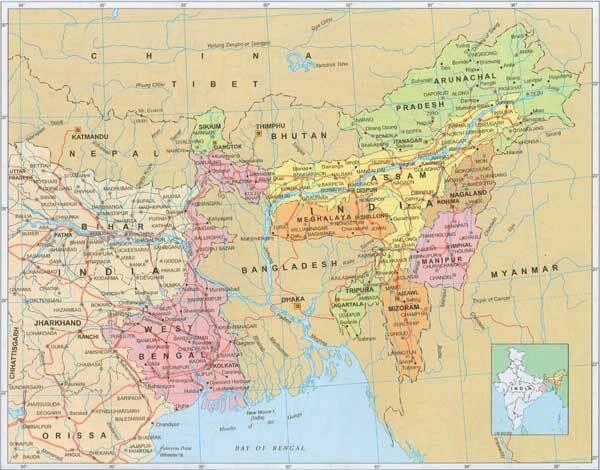 The North-east insurgents have been particularly fortunate in having found sanctuaries or support in Bhutan and China in the North, Bangladesh in the South and Myanmar in the East. The insurgents have received moral and material support from China, Pakistan and Bangladesh at some time or the other. The sanctuaries in Bhutan and Myanmar have, however not been the outcome of any adversarial or hostile relations between them and India, but because of the inability of their governments to adequately administer the border areas or deal effectively with the hostile activities of the Indian insurgents inside their respective borders. Since 1984 when the Indian Army pre-empted the Pakistani Army from occupying the glaciers and its dominant peaks by just a few hours, Siachen remains the world's highest and most inhospitable battlefield. 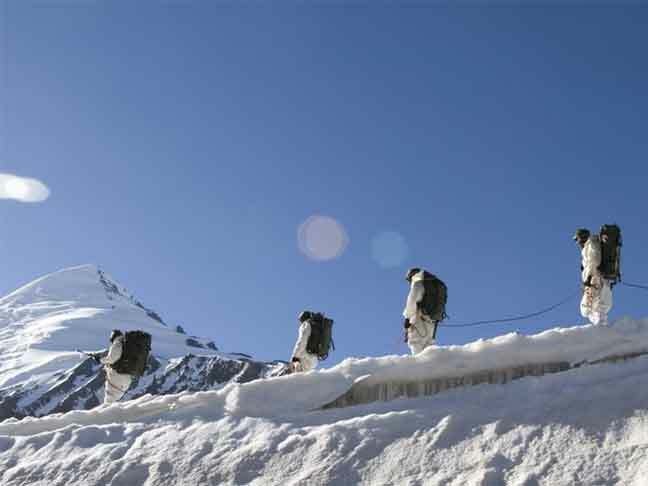 Living under extremely harsh weather conditions, the Indian Army has over the years, lost over 850 soldiers in the icy expanse of the glacier. Serving under unforeseen circumstances, the officers and soldiers often face the dilemma of taking decisions which may seem cruel, even when they know that it is the best possible call for the team. As brave as these men may seem while giving out the orders, taking such calls gives them the chills which haunt them even years after those words were said. One such bone-chilling account is of Captain Raghu Raman. Captain Raman was posted in the Siachen Glacier for a year. Below is his article that was published in 1995 in the Infantry Journal. Chandigarh. The last link between madness and sanity. I arrived in the late hours of the night. It was bitterly cold. Usually is, this time of the year. Clear sky though. They told me there was a confirmed flight next morning with my name on the manifest. As Pakistan and the world come to terms with the Bachha Khan University (BKU) carnage, there is a realisation, now more than ever, of the persisting gaps and vulnerabilities in Pakistan’s security infrastructure, which terrorists have time and again exploited quite easily. The brutal attack also highlights the threats to the internal security of the country that have become complex and extensive over the years. 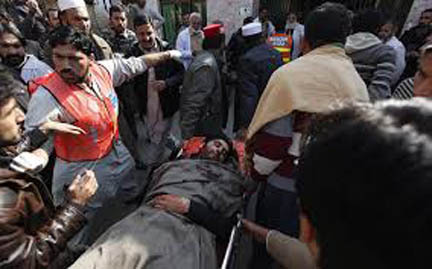 Militants have certainly been put on the back foot by the ongoing military operations in North Waziristan and Khyber agencies of the Federally Administered Tribal Areas (FATA), but their operational capabilities are still intact. The main reasons behind this situation are firstly, the relocation of militant infrastructure to the Afghanistan side of Af-Pak and secondly, the presence of their support networks inside Pakistan. Which factors that have been identified as key contributors to success (or defeat) in insurgencies since World War II were present or absent in Afghanistan as of early 2015, according to a panel of experts? Where was there disagreement among the panel of experts on the presence or absence of these factors? Where did the COIN effort in Afghanistan in 2015 rank in comparison with historical wins and losses? In what areas will the COIN effort in Afghanistan need to improve to be on a more likely path to success, and what is the most promising path to ending the conflict? Previous RAND research examined 71 insurgencies begun and completed worldwide between World War II and 2010 to analyze correlates of success in counterinsurgency (COIN). A key finding was that a case's score on a scorecard of 15 equally weighted good and 11 equally weighted bad COIN factors and practices corresponded perfectly with the outcomes of the cases analyzed. That is, the balance of good and bad factors and practices was always positive when the outcome was a COIN win (insurgent loss) and always negative when the outcome was a COIN loss (insurgent win). Using the scorecard approach as its foundation, a RAND study sought to apply the findings to the case of Afghanistan in 2015. The effort involved an expert elicitation in which experts were asked to make "worst-case" assessments of the factors to complete the scorecard for ongoing operations in Afghanistan. It was the third Afghanistan-focused exercise conducted with the scorecard, allowing rough comparisons with scores assigned by expert panels in 2011 and 2013. The 2015 consensus results indicated that Afghanistan continues to have a positive score, though its score is tied with the lowest-scoring historical wins. Two factors remained absent in Afghanistan in 2015 but essential to success in historical COIN campaigns: disrupting flows of tangible support to the insurgents and a demonstration (and improvement) of commitment and motivation on the part of the Afghan National Security Forces, the primary COIN force since the coalition drawdown. Despite some potentially positive developments resulting from the 2014 election of a new government in Afghanistan, it appears that the most promising end to the conflict will be a negotiated settlement in which the Afghan government makes some concessions to the insurgents and in which external powers, including the United States and Pakistan, help broker a satisfactory power-sharing agreement that brings greater stability to the country. Floodlit international border between India and Pakistan, as seen from the International Space Station. During this partition, about 15 million people were displaced and a million more died. The “hastily drawn” border by the departing British, which separated Pakistan from the mostly Hindu India, never fully resolved all the issues. Several wars between the two nations ensued and tensions continue to this day. A floodlit, 1250-mile portion of the current international border (a.k.a. the Line of Control) is visible in a photo taken from the International Space Station. India’s attack helicopter transfer to Afghanistan suggests a new era in ties between New Delhi and Kabul. Earlier this month, the Afghan Ministry of Defense inducted three Mi-25 attack helicopters into the Afghan Air Force (AAF). The helicopters were supplied by India and mark the first time that New Delhi has transferred lethal military equipment to Afghanistan. The AAF inducted three of four scheduled Mi-25 helicopters. The Mi-25s will replace Afghanistan’s aging Mi-35 attack helicopters and provide a much-needed boost to Afghanistan’s air support capabilities in the ongoing struggle against the Taliban across the country. On January 20, Afghanistan confirmed that three multirole Mi-25 had been assembled and were ready for operational use. The Mi-25s will likely see their first use in the ongoing struggle against Taliban fighters in Helmand province. “We have always been helped by India. The helicopters donated by India to Afghanistan have been assembled and will help us fight terrorists,” Ghulam Sakhi Ahmadzai, deputy chief of procurement at the Afghan defense ministry, told Tolo News. A Brief History of Balochistan How did the Baloch nation come to be? The arid region of Balochistan, situated at the eastern end of the Iranian plateau, is split almost evenly between Pakistan’s Balochistan province and Iran’s Sistan-Baluchistan province (a small portion of the southern parts of Afghanistan’s Nimruz, Helmand, and Kandahar provinces are also part of Baluchistan). Balochistan is today at the forefront of major geopolitical events. Pakistan has faced almost constant turmoil in Balochistan since its independence, even as it struggles to secure and develop the region with Chinese help. The port access offered by Gwadar in Balochistan is an important component in China’s emerging transportation network across Asia. Right across the border in Iran, India is struggling to complete Chabahar, its attempt to answer Gwadar and link to Afghanistan by going around Pakistan. Iranian Balochistan is Iran’s soft underbelly, a restless Sunni region in a mostly Shia country, a place where Saudi Arabia can make mischiefusing groups like the radical Sunni Jundallah. Although the UNCLOS is far from being adhered to even after ratification of the states involved in the South China Sea dispute, it is a case where international law alone might provide a pragmatic start even while it may not promise to provide the full necessary response to these enormous geopolitical challenges. Based on reports on the nature of naval strategy of China in recent years, the construction of artificial islands is more likely to be guided by China’s military strategy rather than claims on EEZ stipulated by the UNCLOS. Since China’s rise in general and its artificial islands in particular have gradually been altering the status quo of the region, this may continue to add to tensions and further reduce the possibility of resolving the dispute. Can China Really Save Central Asian Economies? Beijing may not, after all, provide the economic deus ex machina Central Asian governments have hoped for. Ever since the Eurasian recession began in earnest — or, predating that, when it was clear that Russia’s economic engine would stall under Vladimir Putin’s third term — there has nonetheless been a source of hope for Central Asia’s economies: China. On the backs of China’s One Belt, One Road (OBOR) platform, Beijing has stepped in to provide Central Asian economies with the necessary trade, transport, and internal investment to offset a reeling Russia and sinking hydrocarbon prices. For the past few years, China has stood as the region’s economic trump card — a rising Chinese tide would, as the regional governments assumed, raise their fortunes as well. Despite China’s recent economic troubles, there was little outward sign that this prognostication would change anytime soon. The OBOR’s schematics proceeded as planned, and the recent rail transit from China to Iran further illustrated the potential integration Beijing can provide. 'China's moves are of direct significance to India, which will closely monitor Chinese naval activity in the Bay of Bengal and the Indian Ocean not least because of Chinese maps depicting claims over the Andaman and Nicobar Islands,' says former senior RA&W official Jayadev Ranade. On January 21, 2016, China took a big stride towards fulfilling its almost decade-long quest of getting port facilities for the People's Liberation Army Navy -- PLAN -- in the Indian Ocean. Carnegie Europe is on the ground at the 2016 Munich Security Conference, offering readers exclusive access to the debates as the unfold and providing insights on today’s most urgent international issues. In the FY2017 budget request, submitted to the U.S. Congress, the Obama administration proposes to terminate construction of the Mixed Oxide Fuel Fabrication Facility near Aiken in South Caroline. The plant is being built to comply with an agreement with Russia in 2000, when both countries said they would eliminate 34 metric tons of weapons-grade plutonium from their nuclear arsenals. (New York Times, 02.09.16, IPFM Blog, 02.10.16). Kazakh president Nursultan Nazarbayev and U.S. president Barack Obama can possibly meet on the margins of the Nuclear Security Summit in Washington, US Ambassador to Kazakhstan George Krol has said. (Interfax. 02.11.16). Russia's annexation of Crimea and continued support of Russian separatists in Ukraine have generated concerns about the security of NATO members Estonia, Latvia, and Lithuania. These countries border Russian territory and have sizable ethnic Russian populations. In case of attack on any of the Baltic states, NATO would be compelled to act or admit strategic defeat. Therefore, it is imperative to deter such aggression — and to counter it if deterrence should fail. This RAND perspective examines how key concepts and elements of the decentralized resistance approach that was part of Swiss military strategy during the Cold War could also benefit the defense of the Baltic states. This includes training and equipping independent local defense units, preparing transportation infrastructure for demolition to prevent an invasion, and instructing military forces and the public in how to effectively participate in resistance activities, alongside a coordinated information operations campaign. The perspective also discusses similarities and differences between the Swiss and Baltic contexts and proposes steps toward an unconventional strategy for Baltic defense. Openly available satellite imagery now provides a possible way to monitor nuclear fuel cycle activities. The early detection of new Uranium mining and milling operations and the routine monitoring of existing mines and mills using such imagery could make a valuable contribution to the oversight and monitoring function of organizations such as the International Atomic Energy Agency (IAEA). A review of the existing literature suggests that Uranium mines do not offer special spectral or spatial signatures that uniquely identify them in a satellite image. However the various processes involved in the conversion of Uranium ore into yellowcake, offers interesting possibilities for the use of satellite imagery. A sample set of 13 mills across the world were selected for investigation. For each of the mill sites detailed process flow sheets were built up using information available in the public domain. Satellite imagery especially Google Earth (GE) Images were then studied to generate a set of interpretation keys. These keys link the operations in the mill sites to the observables in the satellite image. The shapes and sizes of the features seen and their position in the process chain provided a set of signatures that could be used to identify a Uranium mill. Overloaded executives need coping mechanisms. This personal reflection shows how meditation can help. Although governments like China and the United States are seeking to establish norms of behavior for nation states in cyberspace, there is increasing literature indicating that there is mounting interest in acquiring cyber espionage capabilities, even among less technologically advanced countries. According to a October 2015 report by a Canadian-based organization, 33 customers of FinFisher – malware able to read encrypted files, e-mails, and listen in to voice over Internet Protocol, and activate webcams. Client information was exposed in a data breach that targeted Gamma International Ltd, a Munich-based company that made FinFisher and sold it exclusively to governments and law enforcement organizations. Developing India requires loads of money and spectrum sure is lot of money. As per media Rs 469,000 crore (US $70 billion) worth upcoming spectrum sale around March 2016 is likely to hit Bharti Airtel, Vodafone India, hard even if the sale is partial success, Idea hard, warns brokerage Credit Suisse, the other being the entry of Reliance Jio Infocom. This is likely to be the largest quantum of spectrum to be sold at once, with an estimated value of $60-to-70-billion, and even a partial sale (say: $10-15 billion) could be a serious hit on operator returns, that is not reflected in stock prices. The government is also expected to auction premium 4G spectrum in the 700 Mhz band in the upcoming airwaves sale, barring a strong recommendation from the Telecom Regulatory Authority of India (Trai) to the contrary, which is unlikely. More so, as the estimated value of this premium 4G spectrum alone is pegged at $45-49 billion, out of the estimated $70 billion gross value of all airwaves, across bands. But what has been most disturbing is the news that the Department of Telecommunication (DoT) is likely to get 150 Mhz spectrum from the Defence. Since the media refers to a harmonization plan between DoT and Defence having been approved by the Cabinet in January 2015, surrender of 150 Mhz spectrum can be taken as certainty. What Will Big Telecom Become Next? If you want to give yourself some perspective on just how profound the digital revolution has been, consider what it has done to the telecom sector. Businesses that were once boring utilities transmitting voice through copper to fixed locations have been transformed into global, wireless data-moving powerhouses that will soon connect almost everything to almost everything else. Considering all the things that little device in your pocket or purse does, it’s astounding that we even still call it a phone. But the same apps that are making the phone do so much more are also eating into carriers’ revenues. Martin Creaner, corporate strategy advisor for Huawei – the largest telecom equipment maker in the world – sees telecom companies changing their business models to adapt. A speaker at the “Strategies for Success in the New Era of Connected Ecosystems” conference held by Wharton’s Mack Institute for Innovation Management, he spoke to Knowledge@Wharton about how the industry is changing in the digital age. A fifth of GCHQ intelligence comes from hacking in to phones and computers, the agency has revealed, as it won a human rights victory over its once secret technique. The spy agency admitted last year that it regularly hacks electronic devices – known as equipment interference – to gather data on suspects. It was forced to defend the power before the Investigatory Powers Tribunal after a civil liberty group and Internet companies claimed it breached human rights laws. But the panel, which hears challenges against the security and intelligence agencies, ruled the methods were lawful. In submissions to the hearing, it emerged that in 2013 around 20 per cent of GCHQ’s intelligence reports contained information derived from hacking. Concerted efforts to regulate cyber capabilities have borne little fruit, prompting policy makers to look to existing regulatory systems as a basis for action. Established export control systems are often viewed as providing one such mechanism for governing encryption and cyber capabilities. But these frameworks—rooted in post-Cold War arms control systems—may not be suited to the modern proliferation of cyber and encryption software and technologies, which grow more seamless, intangible and borderless by the day. It is true that both advanced end-to-end encryption capabilities and advanced offensive cyber capacities could threaten national security if exported to foreign adversaries. However, there are also substantial threats that arise when these products are developed and used entirely domestically and exclusively by a country’s own nationals. Whatever its origins, and whether it is a blessing or a curse or both, the expression living in “interesting times” certainly describes strategic life in the present day. Recent events in Ukraine, Syria, Iraq and the South China Sea, for instance, continue to take “interesting” turns. We could say the same of the various ways in which military force has been used of late. Analysts, practitioners, and scholars alike have struggled to come to terms with such uses, assigning labels such as “hybrid wars,” “new generation wars,” and “gray-zone” conflicts, among others, to distinguish contemporary practices from those of so-called traditional wars. While the original aim of such labeling or relabeling may have been to draw the attention of busy policymakers to emerging security issues, it has evolved into something of a culture of replication in which the labels are repeated more out of habit than reflection. As a result, we have an increase in claims about what contemporary wars are (or are not), but little in the way of strategic analysis to support those claims. This article avoids that trend by identifying the problem posed by so-called gray-zone wars, and suggesting how the West’s military strategists and campaign planners ought to adjust their conceptual frameworks to accommodate them.